Recessional music was a fun, upbeat instrumental chord melody rendition of Coldplay’s Viva La Vida! This magical day was rescheduled due to the Thomas Fire and the bride’s pregnancy. It was great to meet their little bundle of joy! Sunset later cooled the air while trio friends added to the festivities. 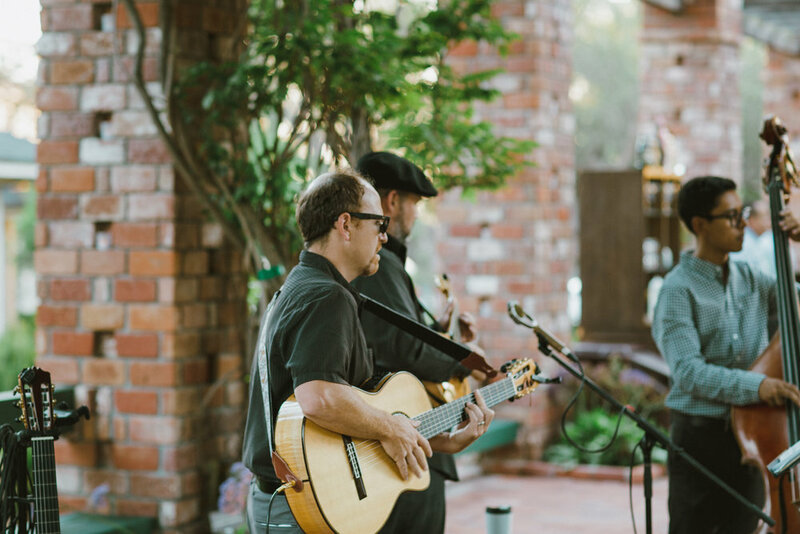 Local Santa Barbara music phenoms - Adam Phillips and Rob Moreno, All of which are members of the @folkorchestrasb - honored to create the musical ambience of a lifetime for dinner reception. Special thanks to @ryannebee for the creative film photography #nofilter #filmphotography. The event coordinator was on point as well @madelinemooreevents *Visit http://guitarwitt.com/repertoire-wedding-and-events/ for a full list of songs. Plus, audio samples.